Surronded by gardens in bloom, lemon groves and splendid natural scenery. Easily reached from Verona, Milan and Venice too, it is well placed for road, rail and air connections. 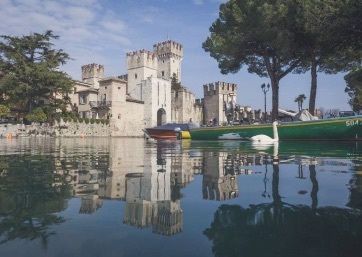 Lake Garda offers the visitor a beautiful landscape, full of colours, surrounded by the Dolomites of Brenta in the north and the gentle slopes of the morainic hills in the south. A rich vegetation flourishes thanks to the Mediterranean climate: lemon trees, oleanders, magnolias and bouganville. The cultivation of vineyards and olive groves produces good wines and olive oil. 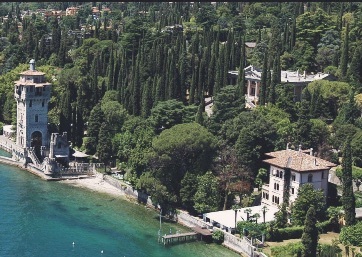 Choose to Get Married in Lake Garda, and you will have easy access to the most famous city in the North of Italy, you will be very close to the mountains and, at the same time, surronded by beauty of nature. Walking leisurely around the small village centres, going on a boat trip, exploring the surroundings in a wide choice of itineraries are the best ways of enjoying the lively atmosphere of the lake and the beauty of the landscape. 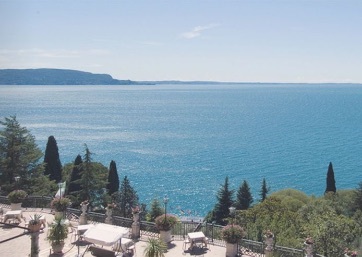 A Wedding in Lake Garda ensures to couples all ingredients for a romantic ceremony. In this region almost every sport can be practised from tennis to paragliding, free-climbing, scuba-diving, clay-pigeon shooting and karting. Sailing and windsurfing enthusiasts find here their ideal conditions and over the last years Lake Garda has been chosen by lovers of mountain-biking, fast becoming world famous for the quality of its golf courses. If you are looking for fun and relax there is a good choice of amusement parks and gardens; for those who love shopping there are opportunities meeting all needs, from the picturesque street markets to the most elegant shops. Lake Garda is also well known for its exciting night-life: restaurants, cafes, discos and entertainment of all kinds are to be found everywhere. 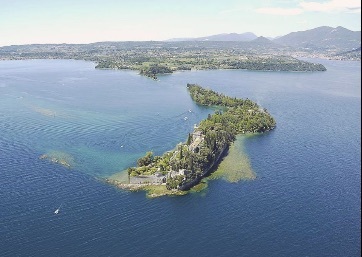 Step into a fairytale and choose Lake Garda as your Wedding destination. Romantic civil ceremonies in Malcesine. We love this location! Everything here is perfect, like a fairytale!